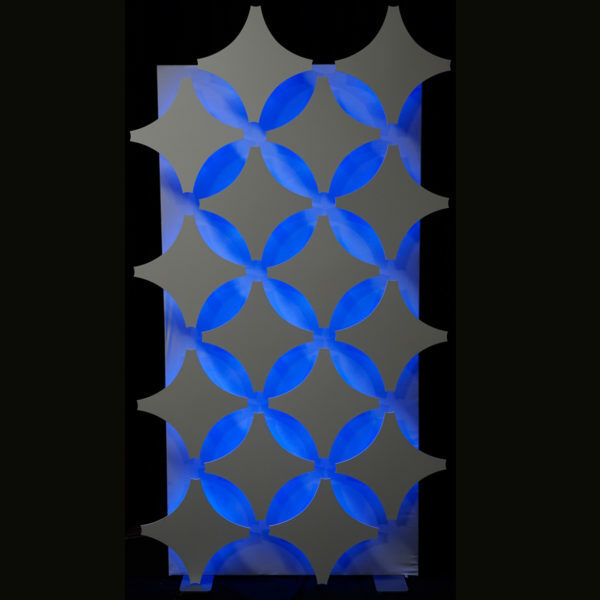 We’ve taken the guess work out of creating an 8’H x 4’W scenic element with our MAG-LED Walls™ & Halo Tile Kits. 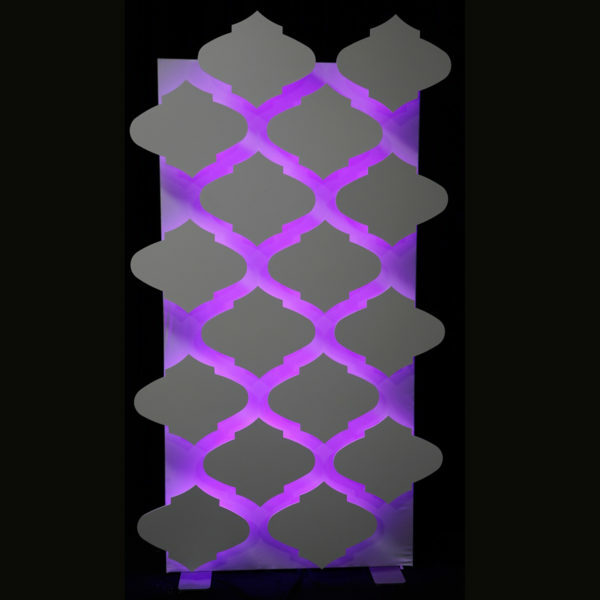 Each kit includes our proprietary MAG-LED Frame™ and your choice of one of our 3 unique Halo Tile designs. 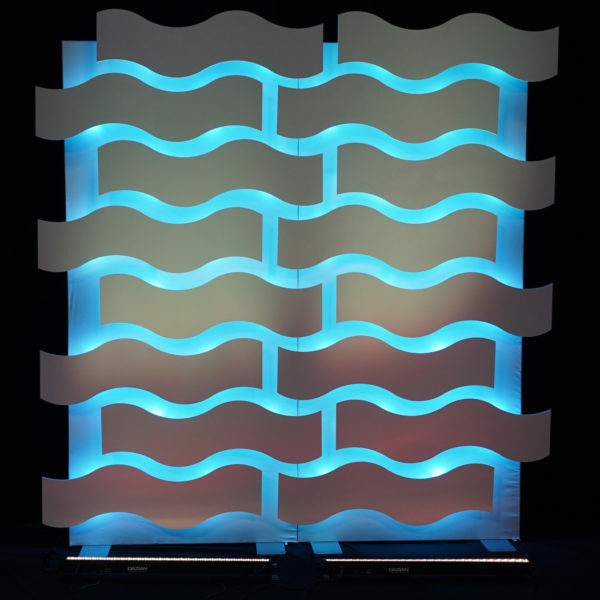 An industrial magnet holds the tiles to the wall as RGB LED modules backlight the tiles creating a halo glowing effect. To change the tile for a new look simply pop off the existing tile and replace it with a new one – no tools required! 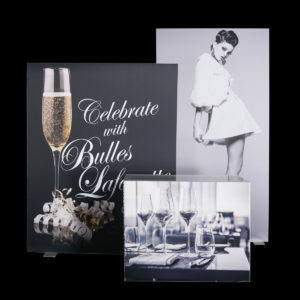 Up or down light the face of the tiles to create a two-tone look or use a gobo for added texture or motion. 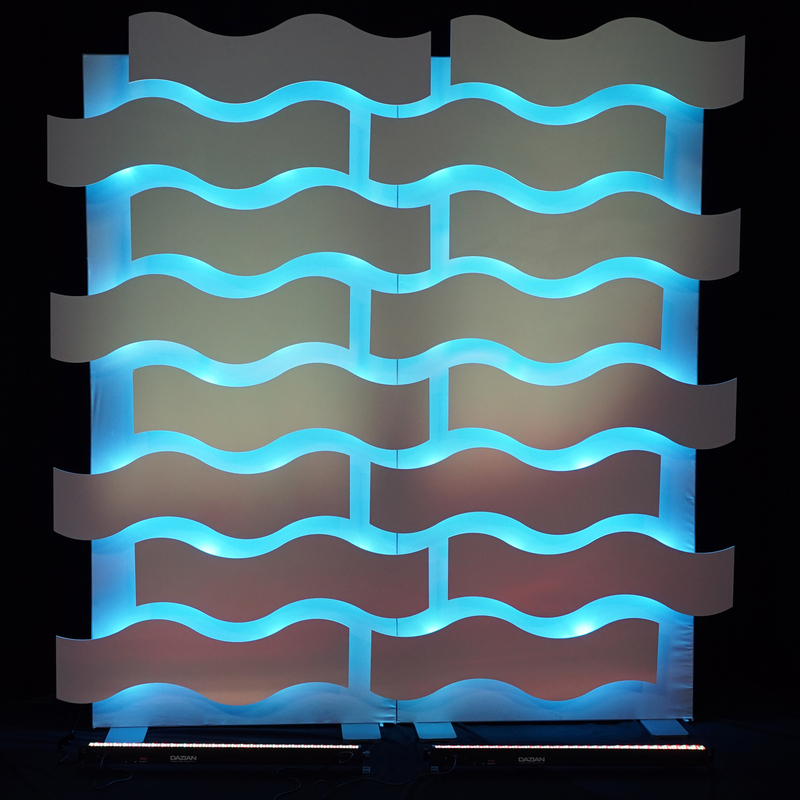 The MAG-LED Walls™ connect together vertically or horizontally allowing you to create a variety of sizes for any application. 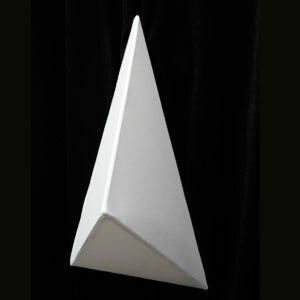 Base plates are provided for freestanding uses (max height is 8’H) or eyebolt for suspended installations (max height is 16’H). A 3- channel DMX decoder is included with each frame. The decoder also has a variety of single color and color rotating effects to choose from for stand-alone needs. 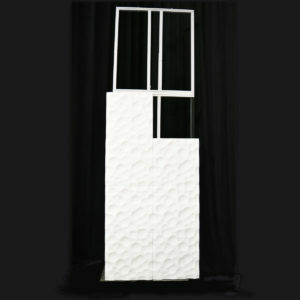 Tiles and frames can be purchased separately.